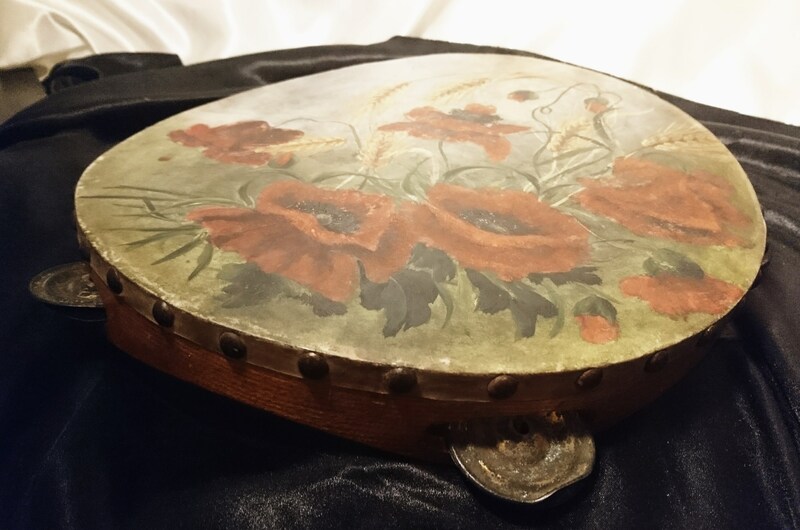 An antique WW1 tambourine, hand painted with a beautiful scene of poppies to signify Remembrance of those who lost their lives to the first world war. 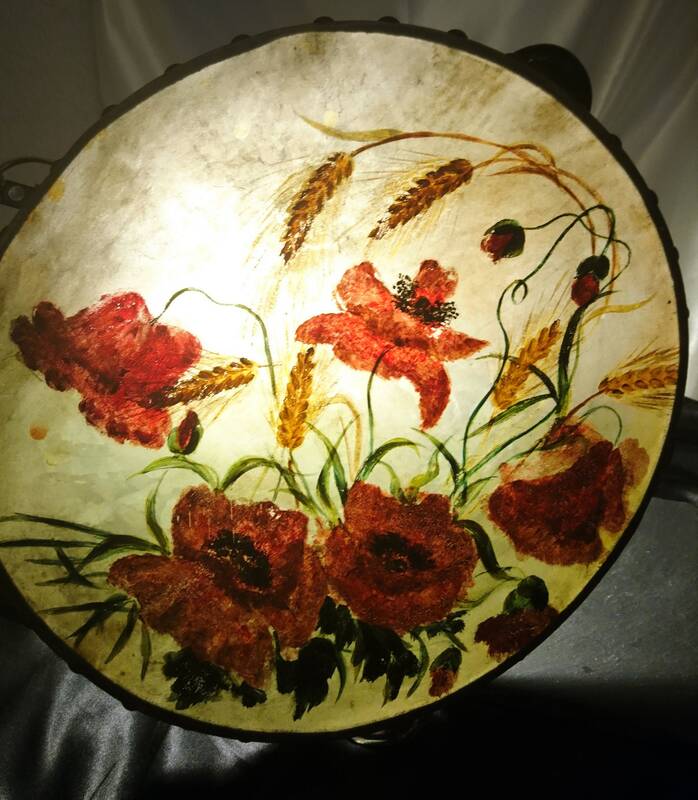 The beautiful painting is very detailed and very skillfully done, it depicts fields of poppies with intermittent sheaths of wheat. 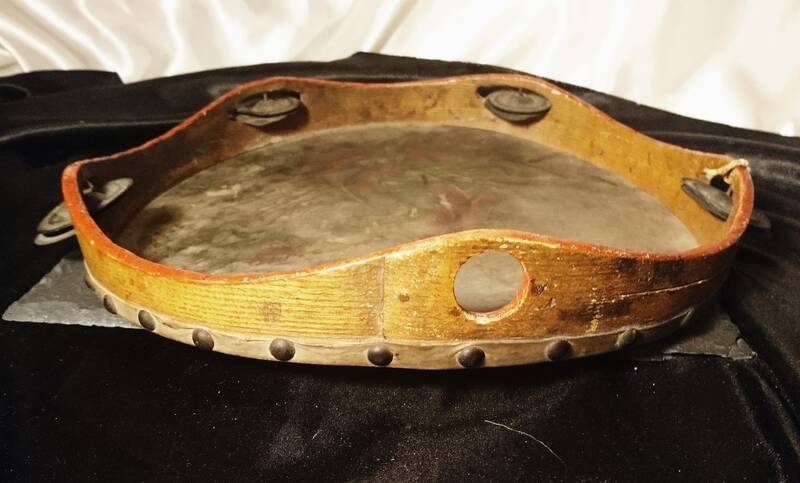 It is signed on the underside, the forename is significantly worn however the surname can still be read which is Massey. 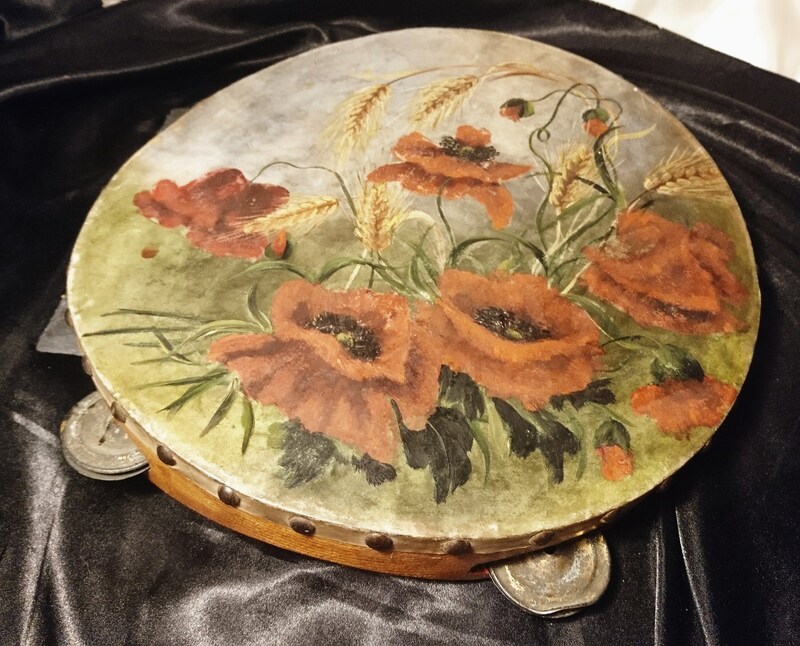 Painted in the 1910's shortly after the war had ended 1915/6 the tambourine itself is likely a little earlier than the artwork, a piece from the military bands. 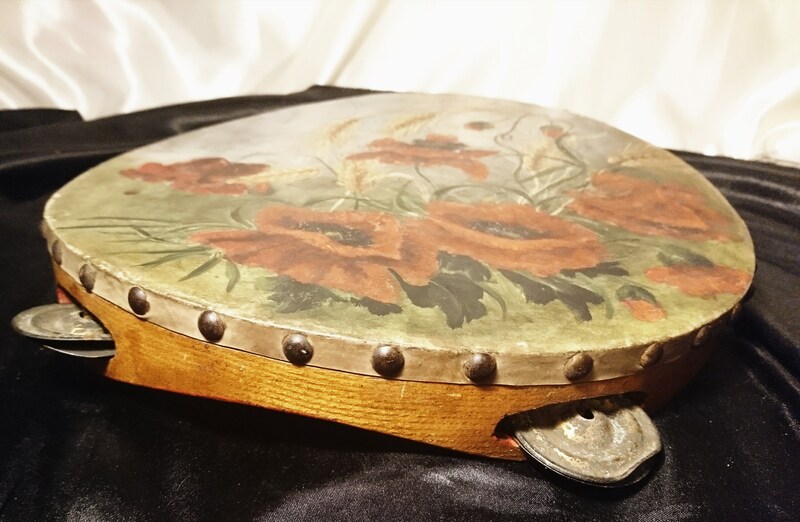 It is tragically beautiful and evokes a feeling of sadness and joy all at the same time, the end of the war but the loss of many lives, friends, loved ones and comrades alike. 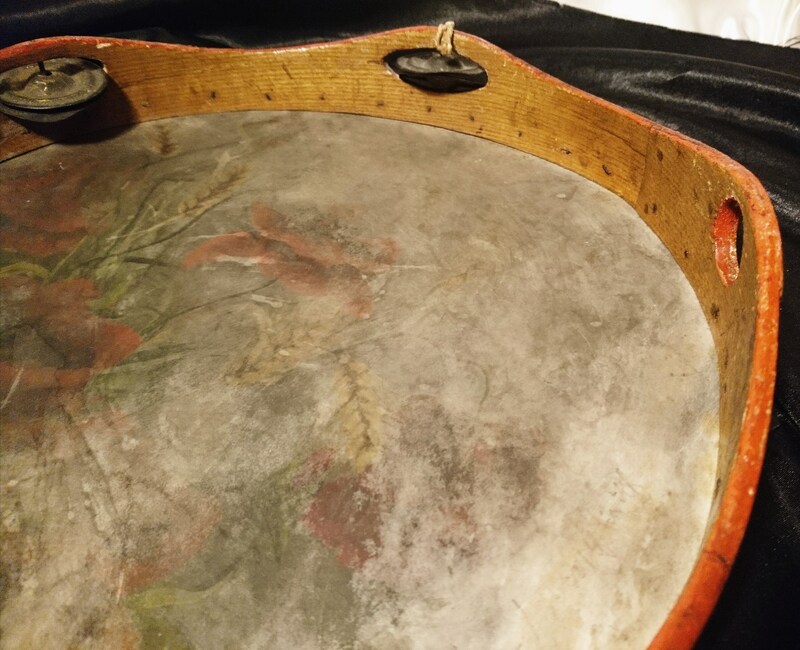 It has a lot of emotion in it and the artist conveys their own emotions through the work. 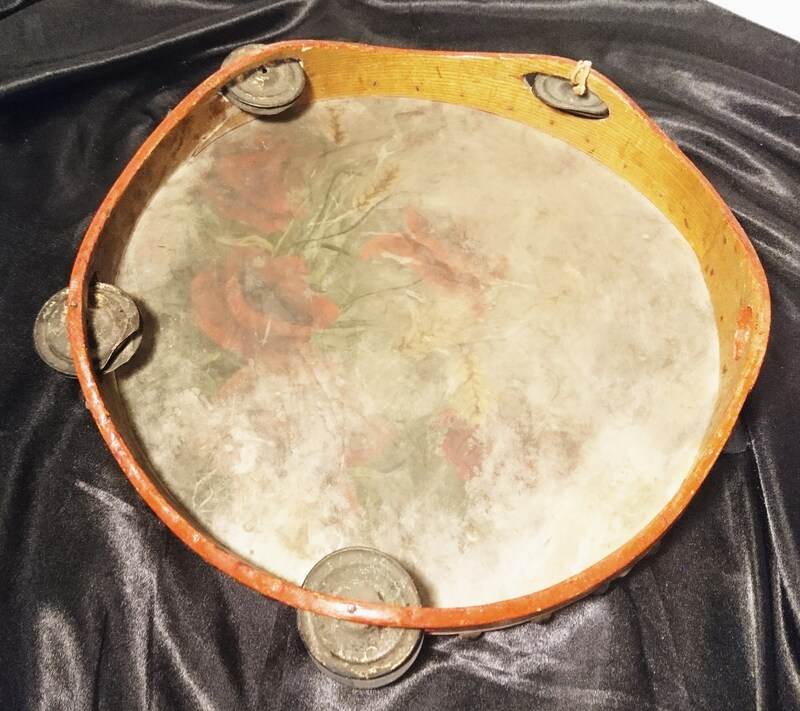 It is in relatively good condition for its age, there is some oxidising of the metal cymbals and studs, the wood has an aged patina to it, there are no rips or tears, it has been treasured. 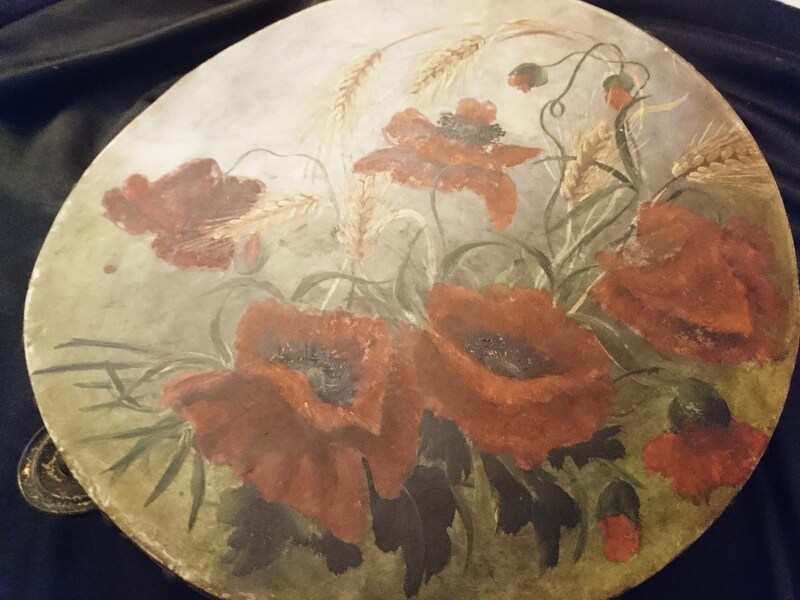 A very unique and one of a kind piece of WW1 memorabilia with beautiful artwork, it is fairly large so would make a good display piece. 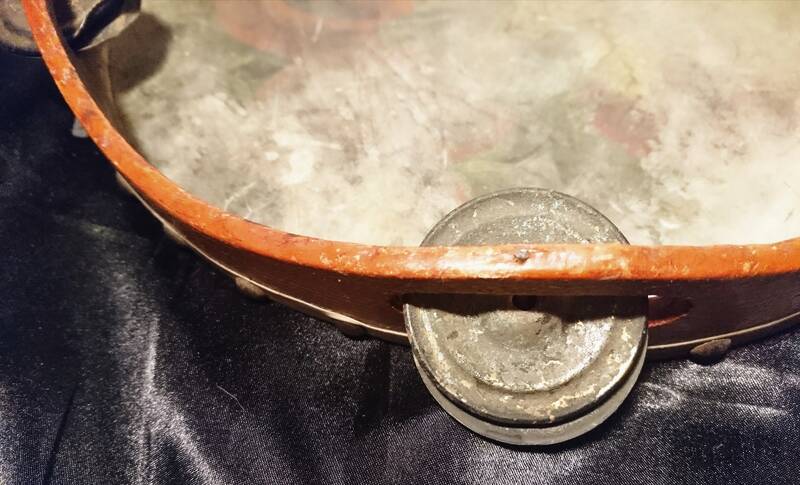 Approx 11.5" diameter and 2" height.